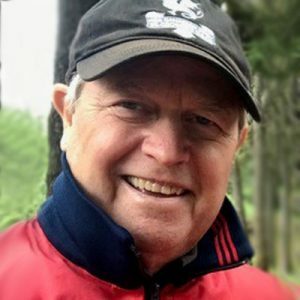 Friends and colleagues of Bruce Edward Robert were saddened to learn of his death on March 22, 2019. He was seventy-two years old. 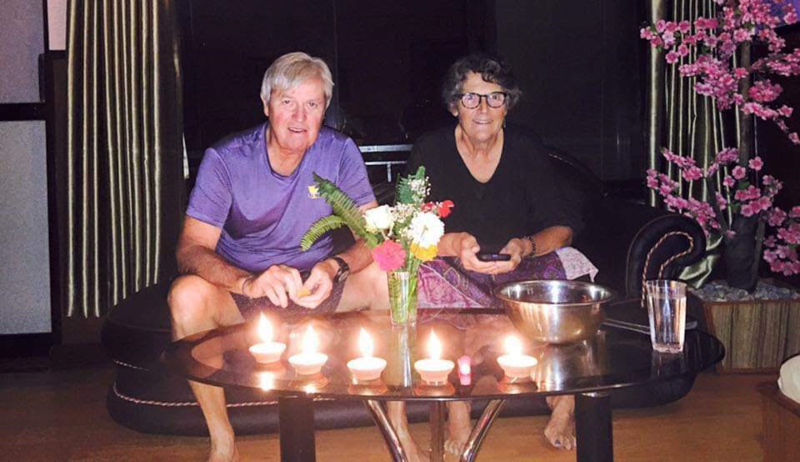 He is survived by his wife of 46 years, Therese Roberts, a well as by his sister, Liz Roberts of Phuket, Thailand. Bruce grew up in Toronto, graduated from the University of Toronto and earned an MBA from the University of Alberta. Bruce’s zest for life and adventure inspired both friends and family. He and Therese travelled extensively, visiting over 100 countries. He had an innate ability to connect with the people he met and was always open to new experiences. As an avid outdoor enthusiast, he relished ski touring, hiking, cycling, golfing and kayaking. Nothing gave him more pleasure than introducing friends to one of his passions. An avid reader, Bruce enjoyed sharing his encyclopedic knowledge of Canadian mountain history. A keen video photographer, he devoted much energy to charitable work; helping the women of Nepal attain a greater measure of independence. Deepest gratitude is extended to Dr. Alexis Thomson of Kelowna, BC for her compassionate support as well as to the medical team at Kelowna General Hospital. In lieu of flowers, please consider a donation to NEPAL – ONE DAY AT A TIME, go to www.canadahelps.org Find Afretech Aid Society, click on Donate, now, choose NEPAL – ONE DAY AT A TIME. It supports education in the Gorkha area of Nepal, the epicentre of the 2015 earthquake. Bruce was a wonderful neighbour and friend with whom we enjoyed dinner, conversation, wine, golf experiences including good and bad rounds and stories (a bit like fisherman!). Bruce was smart, inquisitive, kind and loved to share his experiences whether they be travelling, books he read or observations about his surroundings. He was so kind to our children, was truly interested in them as young adults and shared his wisdom with them. Most of all Bruce and Therese exemplified life long love and kindness for each other. We had many good times with Bruce and will miss him so very much. We know he would want us to support his”Babe” aka Therese during these difficult times. We will do that and more keeping Bruce’s zest for life and adventure alive. Our memories will live on. Bruce was a thoroughly enjoyable person. His joy de vivre was contagious. He always brought a smile to my face for oh so many reasons! Bruce was a positive life influence and will always be remembered that way. So sorry to hear about Bruce’s passing Therese. We loved your company on the many adventures in the Alberta back country and your shared passion for the outdoors. Know that you are in our thoughts and prayers. Love. Dear Therese, me and my husband have met you and Bruce in a coffee farm in Manizales, Colombia in 2015. It was a pleasant afternoon in the company of you two. We noticed in Bruce such a special person that we promised to meet you again in Canada or in Brazil. We were not able to do that, but be sure that we will always have Bruce’s kindness alive with us, inspiring us. A very warm hug for you Therese and for all the family. Our heartfelt condolences to Therese and family. We will truly miss Bruce, our neighbour and friend. Therese, please knock on our door if we can help you with anything in the coming difficult days and beyond. It’s how he lived life. Always believing there was another outstanding adventure just around the corner while savouring the one he was in and inviting everyone to join in and participate and have fun.. It has been many years since I last enjoyed Bruce’s indefatigable spirit and still, the memory of his laughter, his big smile and his enthusiasm for life remain with me. I am so very saddened by this news Therese and send you much love and healing light. Bruce was an inspiration. We met on a few occasions to do rehabilitation. He was taping the sessions in order to help others with their own rehab. That showed his big heart. He and his wife were amazing and I felt so welcome in their home. I can only dream of one day leading a life like they did, full of love and adventure. Thank you Bruce for showing me that we can all make a difference by being ourselves, and believing in ourselves. I’m very saddened by the loss of Bruce, such a friendly man with always a positive attitude toward everything in Life. I only got to see Bruce infrequently, but he is a man you never forget. I shall miss his happy face dearly. Therese our condolences to you and your family. We are sorry to hear of Bruce passing to the otherside. Bruce was always a pleasure to hookup with on the golf course over the last few years he will be missed by our group. Once again our thoughts are with in your time of grief. Very sorry to hear of Bruce’s passing. Such a generous soul, loved & lived life to it’s fullest. Dear Therese, you have our deepest condolences. Bruce was an inspiration on how to live a full and meaningful life. We first met Bruce when he rang our door bell and introduced himself with a bouquet of flowers in one hand and fresh cherries in the other, welcoming us to Predator Ridge. Most importantly his welcome also came with the genuine gift of friendship. We are fortunate to have known that friendship. Die Trauer über den Verlust eines Menschen wie Bruce wird nie ende. Therese; I am very saddened to hear that Bruce passed away last week. I always enjoyed spending time with Bruce whenever I visited Predator Ridge. He was always willing to share many interesting stories and perspectives on life that meant a lot to me. I know that his warm smile and thoughtfulness will be missed by his many friends. My thoughts and deepest condolences are with you and your family during this very difficult time. It was indeed a moment of sorrow upon receiving your note advising of Bruce’s untimely passing. not long ago. We shared many memories of days gone by. I’m hopefull that cherished memories of your extensive travels and the legacy of Bruce’s charitable endeavours will sustain you as you continue forward…. So sorry to hear of Bruce’s passing, We always enjoyed running into Bruce, he always had a good adventure to tell you about. We will miss Bruce’s positive attitude and friendship. Therese we were so saddened to hear of Bruce’s passing. Our sincere condolences. I feel very fortunate to have worked with Bruce and more importantly to have him as friend for over 40 years. I can’t stop thinking of the fun times we had at AES, and the people we worked with. I remember so clearly the raft trip Bruce took Scott and I on down the Kootney River with you, your Dad, Pat, Cheryl and Dave. I am also so glad we were able to connect Two summers ago for dinner and a great evening with you and Bruce. Such a special person. Knowing you and Bruce are top the list of things I am grateful for. You have enriched my life is so many ways. Not the least of which is that I must hold the record for being your least athletic friend yet that never stopped you both from including, encouraging and supporting me. Remembering one of those times: Bruce was riding in the open back of a station wagon shouting encouragement (or was that with a megaphone?) to non-runner me in a race that was part of the Edmonton summer Olympics. My heart aches for your loss Therese. May the love that surrounds you and your memories sustain you through this time of sorrow. Our thoughts are with you Therese during this very difficult time. Hope to see you back at the Star next season. It was a privilege to know Bruce and I enjoyed his stories of adventure, travel and charitable work. Your partnership together was an inspiration. He is dearly missed by many. He always wanted adventures and I are so sorry he wasnt able to make the rest of them with us this summer. Dear Therese, Joanne and I were deeply saddened to learn of Bruce’s passing. He was such an incredible person, who touched the lives of so many, in such a positive way, with his kindness and his zest for life. We will always treasure the video he made of me skiing at Silver Star, he made me feel like a 80 year old super star. Thinking about you, sending our love. I will be always with you Therese. Our hearts go out to you – Baska and I wish you peace and strength in the days and months ahead. You will take solace from knowing the love so many of us had for Bruce, and the enduring respect for — and wonderment at — his love and appreciation of individuals, cultures and nature. Just reading the words of so many of these condolences lifted my sad spirits, and the images of Bruce, and you, flood my mind – from cycling the tiny towns of France, to kayaking through the beautiful waters of the outer islands in Georgian Bay. He loved, appreciated and understood the beauty, and the subtlety of individual relationships, of the outdoors, of whole cultures and countries. The travels you did together are inspiring…as is his enduring optimism and sense of gratefulness he had for his experiences. I am shocked to hear of Bruce’s untimely death. I have many good memories of squash games here at the Geneva Squash Club and one other hilarious memory when he tried to teach me capsize drill in a canoe near here! Please accept my deepest sympathy, Therese. As ever, Ben.